The set is composed of two arm chairs and six side chairs, a very solidly built set of sculpted walnut dining chairs by Foster McDavid circa 1970’s. 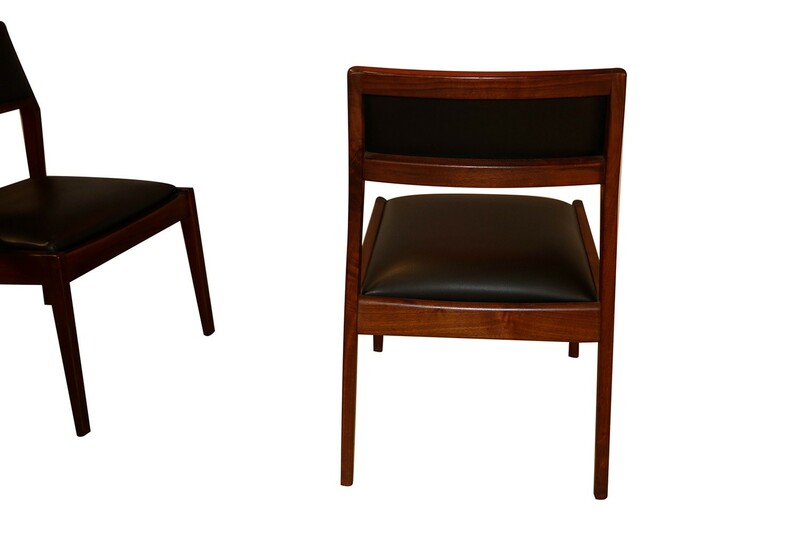 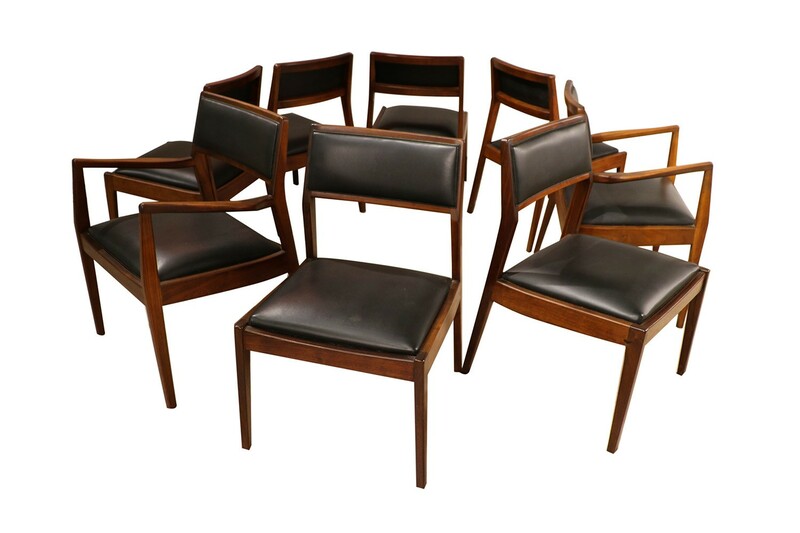 A very solidly built set of sculpted walnut dining chairs by Foster McDavid circa 1970’s. 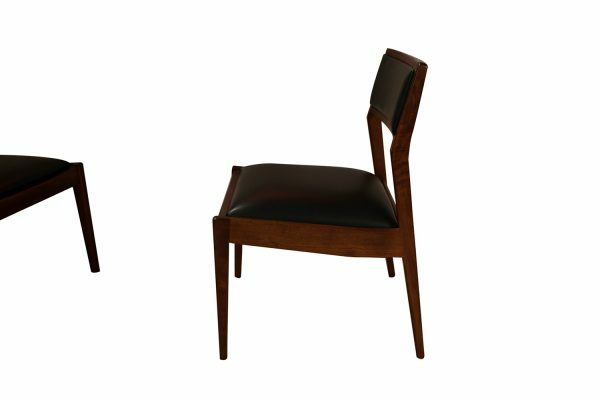 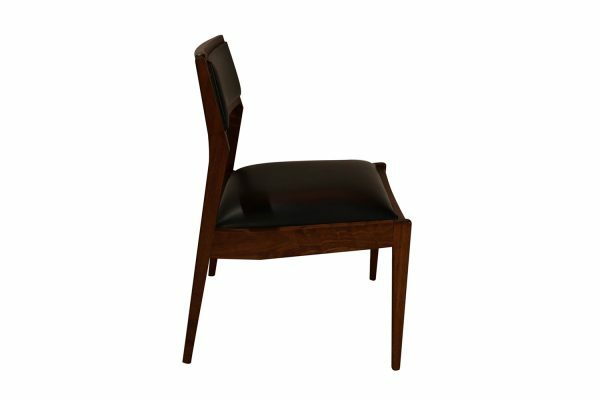 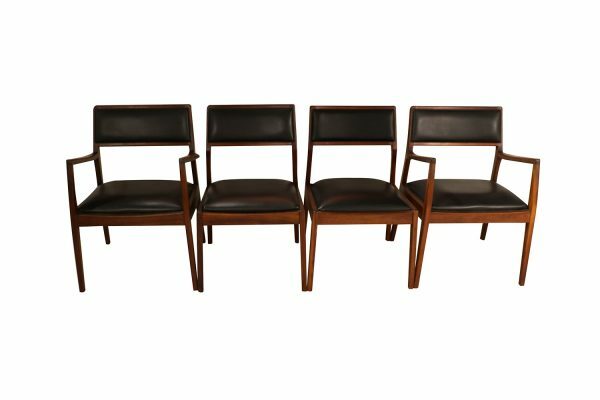 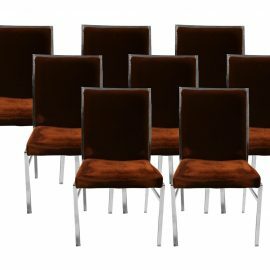 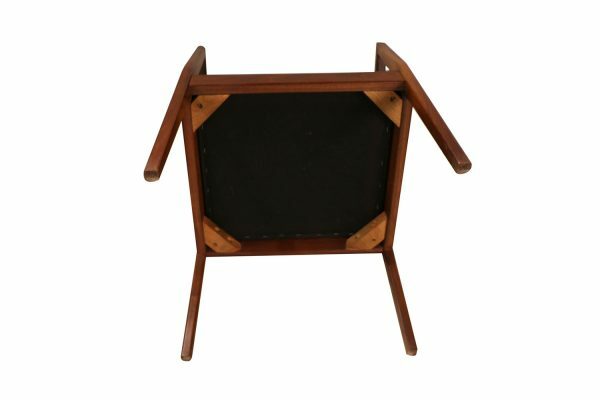 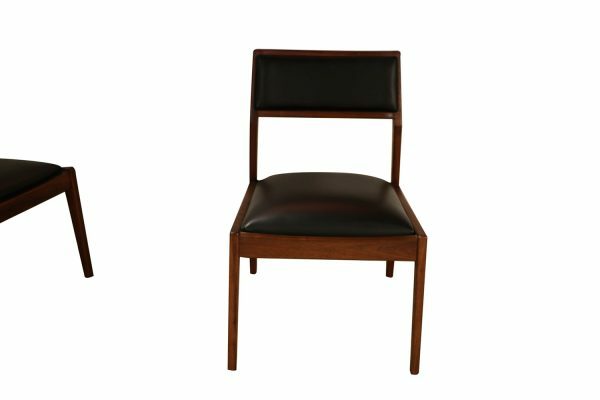 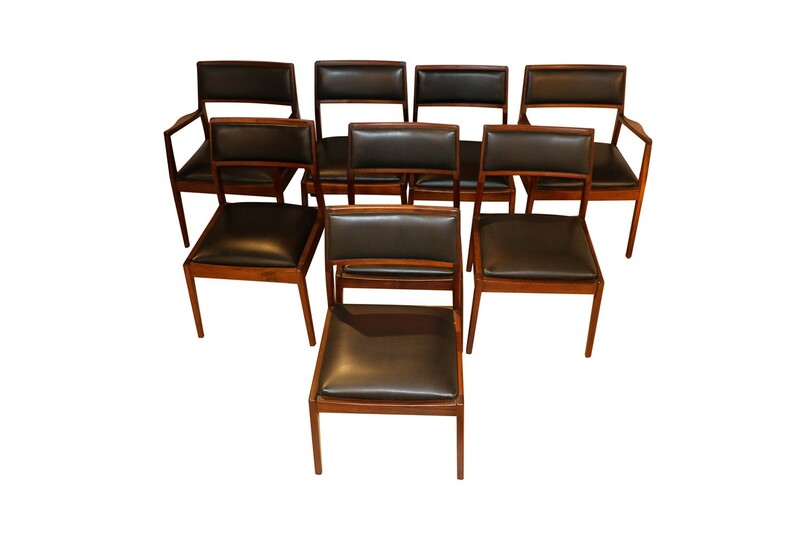 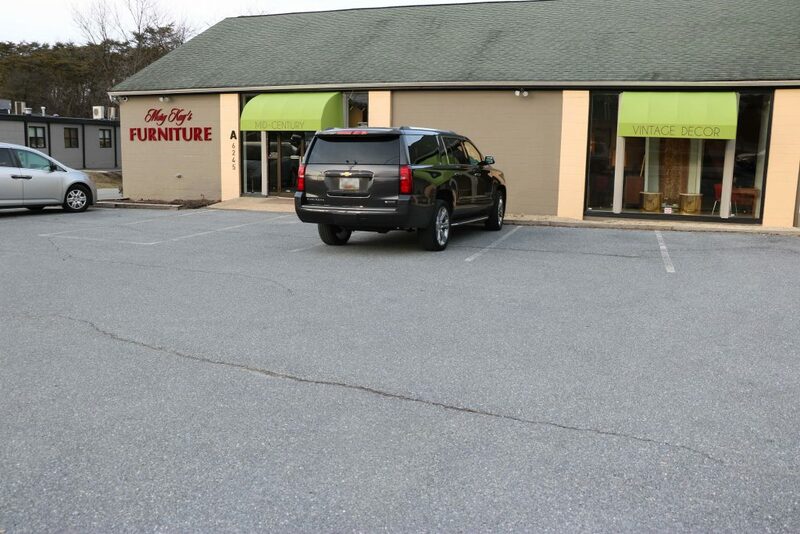 The set is composed of two arm chairs and six side chairs all original to the set; they retain original black faux-leather covering, each is in good condition and very comfortable, constructed with thick solid beautiful walnut wood grain. 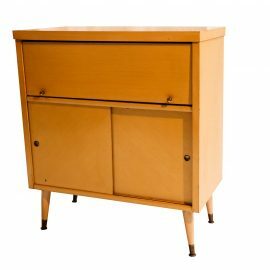 The set would look amazing around a matching Foster McDavid dining room table (sold separately), or as side chairs. 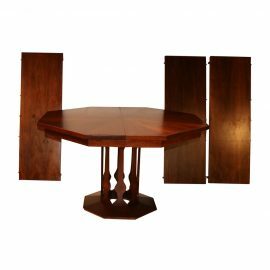 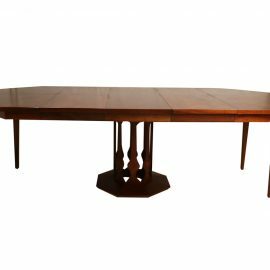 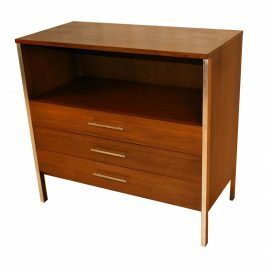 Also, available matching octagon dining table by Foster McDavid in Probber style (sold separately). 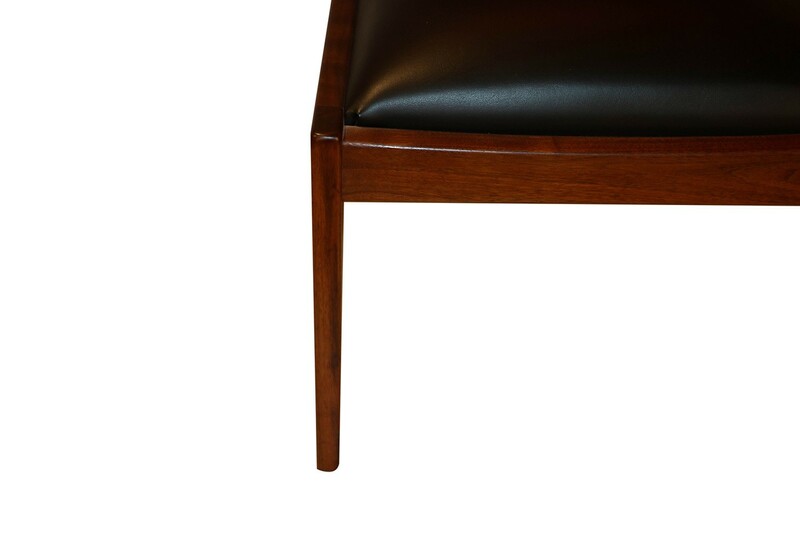 Condition Report: Original upholstery in good condition, no tears. 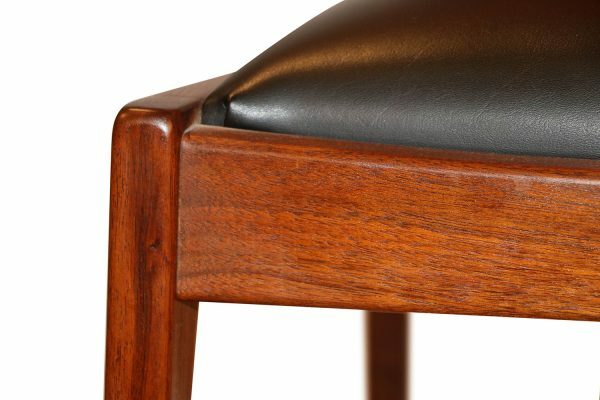 Original beautiful finish to walnut with little wear. Frames are sturdy, tight and very comfortable.